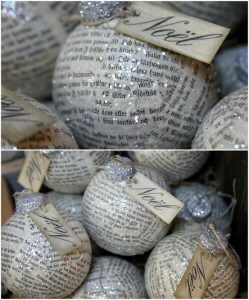 DIY (Do It Yourself) ornaments for Christmas are so much fun! Well, it gives the person ‘doing it’ so much satisfaction and a feeling of accomplishment. Hence, the reason why DIY projects have become increasingly more and more popular. During the holidays, I love when my family gets out our Christmas ornaments and we begin hanging them on our tree. There’s just nothing like this tradition to force you to stop and really reflect on the years gone by. Not only does each and every ornament have a meaning and a memory, but the process of unwrapping each one and hanging it carefully on the tree in just that right spot, with Christmas music playing in the background, really makes me think of how very important this tradition is to us. In addition, it forces you to stop going 80 miles per hour through life and slow down to realize how special life can be and what really matters most. I’ve always loved making something to give as gifts for Christmas. So it got me thinking about DIY ornaments for Christmas and finding ideas online. After scouring Pinterest, I found 10 of my favorite online tutorials for handmade DIY ornaments for Christmas. Being that I’m all over anything that’s easy and inexpensive, this list of tutorials is perfect for my DIY-challenged needs. For the below tutorials, just click on the links to get the directions. First off is this cable knit ornament found on a site called Interior Design Room. Just cover a styrofoam ball with a cable knit sweater and it’ll give you that comfy cozy feel. Because this project is very simple and inexpensive to make, you could make a bunch of these and use the same colors as the theme for your tree. 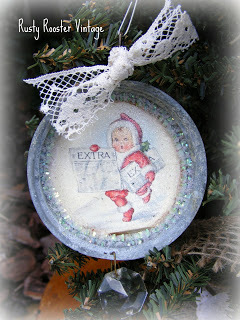 Second up, is a DIY ornament tutorial from a site called The Ornament Girl Blog. They’re made from rags of fabric. 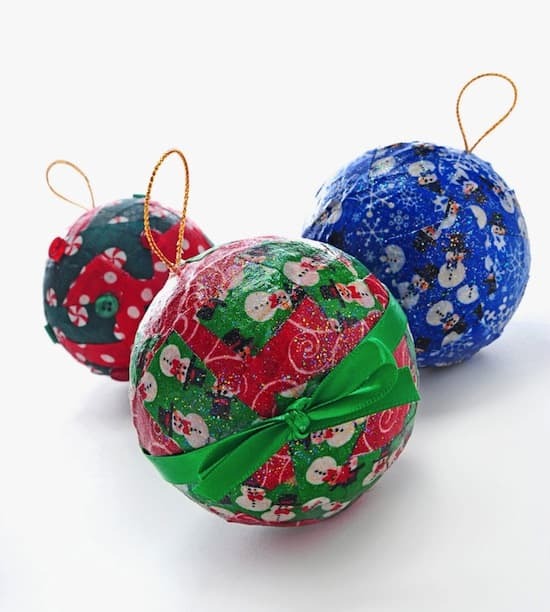 Therefore, they are aptly called Rag Ball Christmas Ornaments. I’ve always loved the vintage look and I love handmade, so this tutorial totally fits the bill for me. And the only materials you need is fabric, a styrofoam ball, and a few other very inexpensive items to make these shabby chic ornaments. My third tutorial comes again from The Ornament Girl Blog. This one is called a Recycled Christmas Card Ornament. I love the idea of using something that already exists and recycling it, or as some call it, upcycling it into something new. Not only does she recycle old Christmas cards for this ornament, but she also uses jar lids taken from jars of salsa, pickles, or whatever you have used up from the pantry or fridge. So far you’ve spent no money. In addition to these items, you’ll need a little bit of paint, some glue, a grommet, Mod Podge, some glitter, and any embellishments you’d like to add to give it your personal touch. I especially like this tutorial because I tend to save Christmas cards every year and have a ton of them stored in a box. So, what a great way to add new life to them! 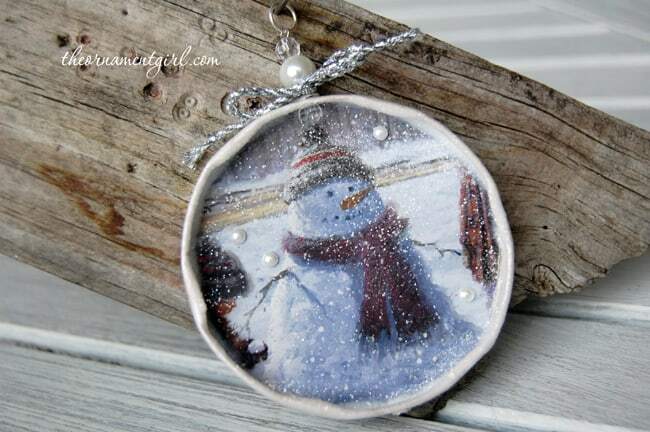 These vintage mason jar lid ornaments are seriously clever and oh so cute! This comes from a blog called Rusty Rooster Vintage and the tutorial is called Vintage Mason Jar Lid Ornament. This tutorial uses photos and edits the photos with editing software. You could also use old Christmas cards, post cards or whatever image you like. 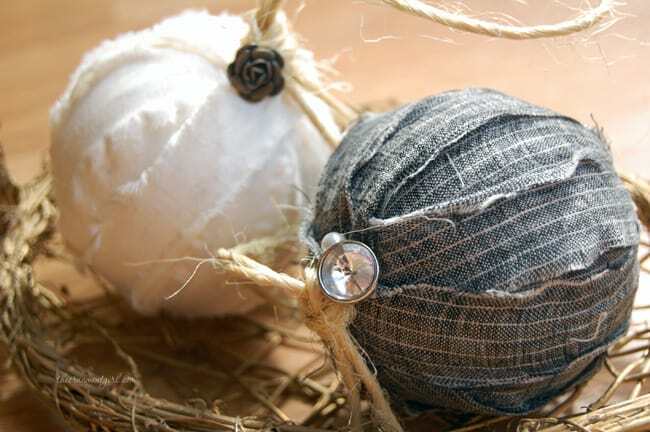 My fifth how-to DIY ornament for Christmas comes from a blog called The Budget Diet. These ornaments are called Decoupage Ornaments. 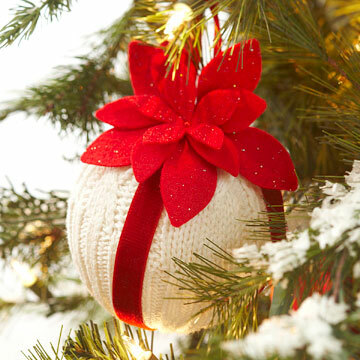 Everything you need for this handmade ornament, you can find at Michaels, AC Moore, or JoAnn Fabrics in Frederick. There are so many different ways you can make these. Let your imagination go wild. Number 6 comes from a blog named Mod Podge Rocks. 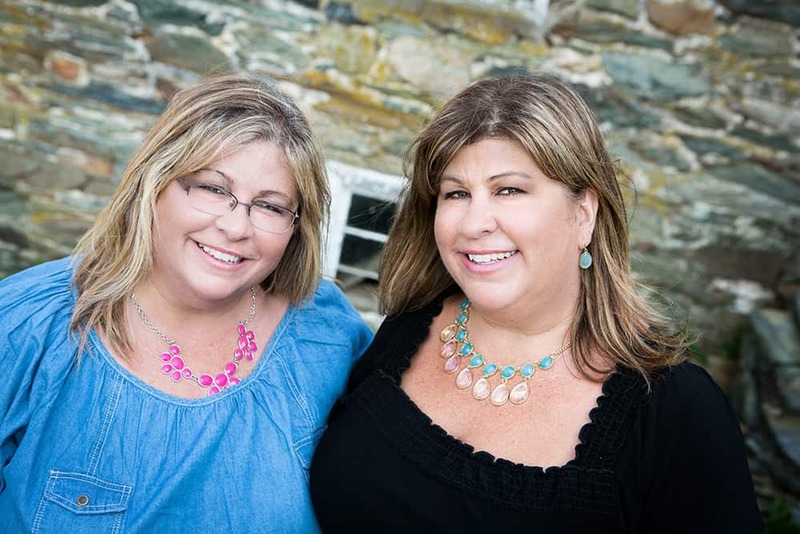 How clever to do a blog totally on Mod Podge? Now that’s a tight niche and a target audience! These ornaments are called Mod Podge Fabric Ornaments. I really love these because they are so colorful, bright and cheery. 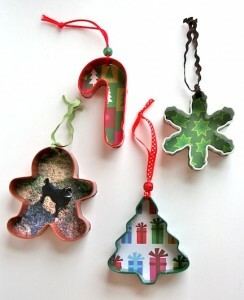 The tutorial for these ornaments is very similar to the tutorial for the Decoupage Ornaments above. This one just uses a different style for decorating. These Vintage Ideas for Christmas Ornaments are featured in a gallery of photos on a site called My Desired Home. 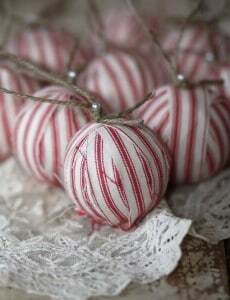 I just love the red and white striped look with the twine used as a hanger and the little pearl embellishments. Number 8 comes from a blog called Babble. These are called Cookie Cutter Ornaments. How do people come up with such clever ideas? I wish I was half as creative and imaginative as some people. These are very inexpensive to make. According to the blogger, she bought the cookie cutters from Michaels for $1 each and had everything else on hand: scrapbook paper, ribbon, beads, marker, glue and scissors. Love this idea because it incorporates a common symbol at Christmas time – the cookie cutter, and also includes your own personal touch by using your favorite scrapbook design or even a personalized photo. My 2nd to last DIY Ornament comes from a site called Tidy Mom. The ornament is called a Glitter Snowflake Ornament. I had to add something really glittery to my collection. 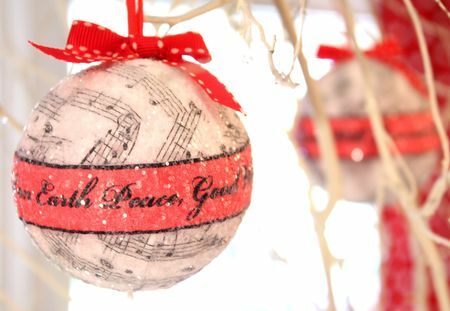 How pretty would this look hanging on the tree in front of the lights? 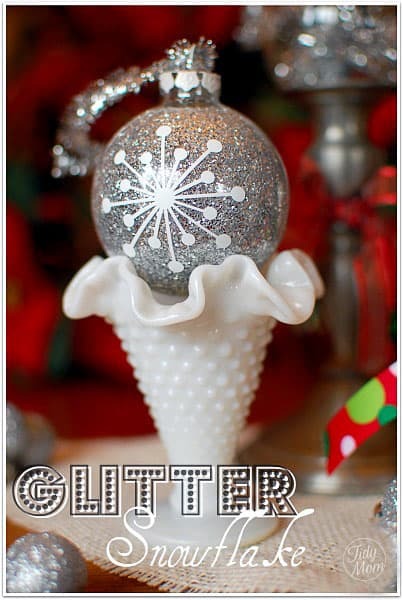 You use clear glass ball ornaments that you can find at Walmart or any craft store. And you only need 3 other items to complete the tutorial. And # 10 I believe I like the most! They’re called Christmas Ornament Spheres and from a site called 7 Layer Studio. These are just so pretty and have a very classy look to them. The materials used in this project are styrofoam balls, music notes napkins, word strips, Mod Podge, glitter, ribbon, and glue. So there’s my collection of my top 10 DIY Christmas ornaments. I hope you try one or two of them and comment back to me to let me know how they turned out. And remember, it doesn’t have to be perfect. It came from you, made with your own two hands especially for somebody you care about. That person will always remember that and cherish it for years to come. I really like the look of the cookie cutter ornament design. My wife and I absolutely love Christmas and we want to get some memorable ones for our kids this year. I definitely think that we should find some personal ones that could become some traditional heirlooms. I agree! Personal, traditional and memorable are where it’s at!